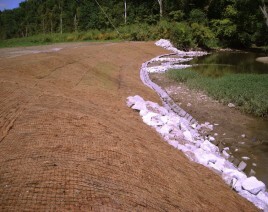 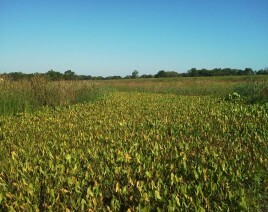 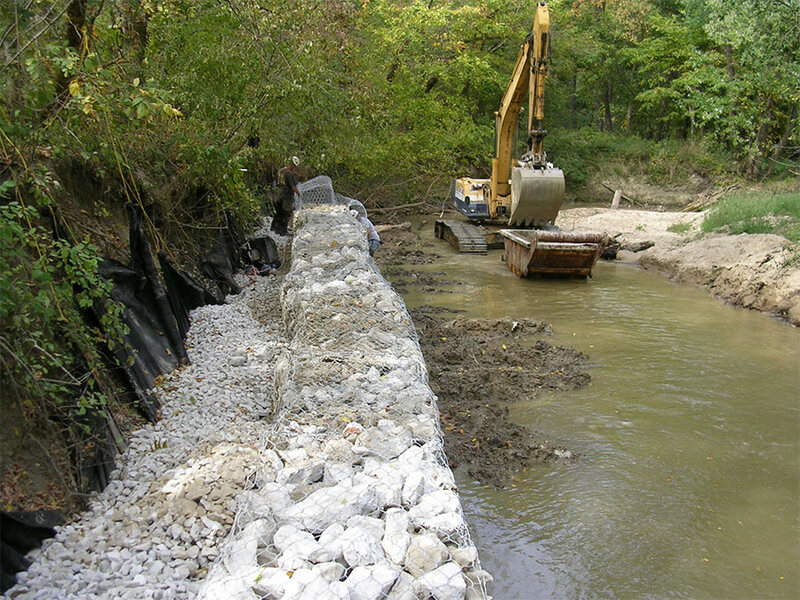 The City of Alton Illinois and Heartlands Conservancy chose Williams Creek Management Corporation (Williams Creek) for design build services to provide ecological engineering, natural resource consulting services and construction for an approximate 1,800 linear feet of riparian corridor restoration within the City of Alton, Illinois. 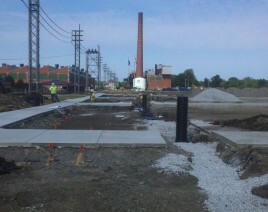 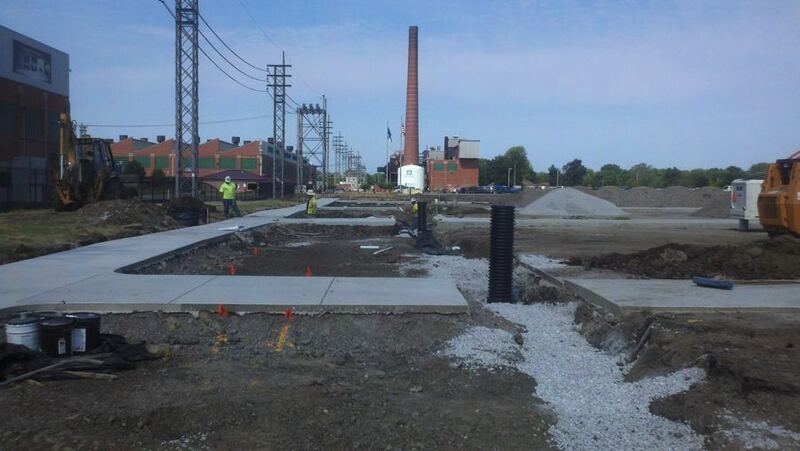 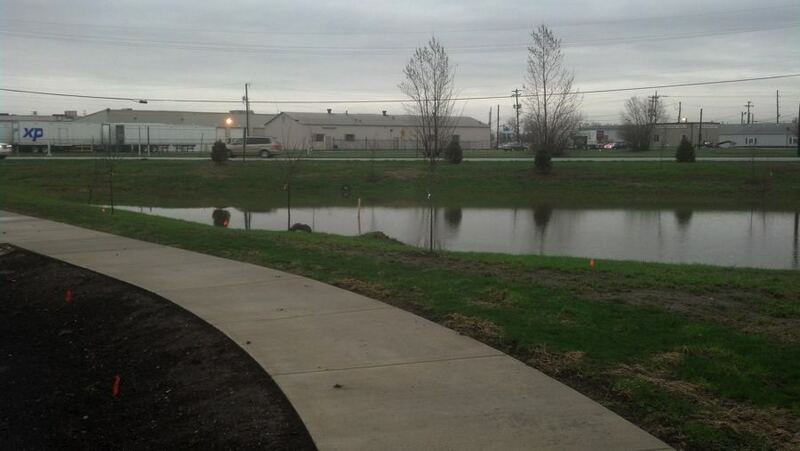 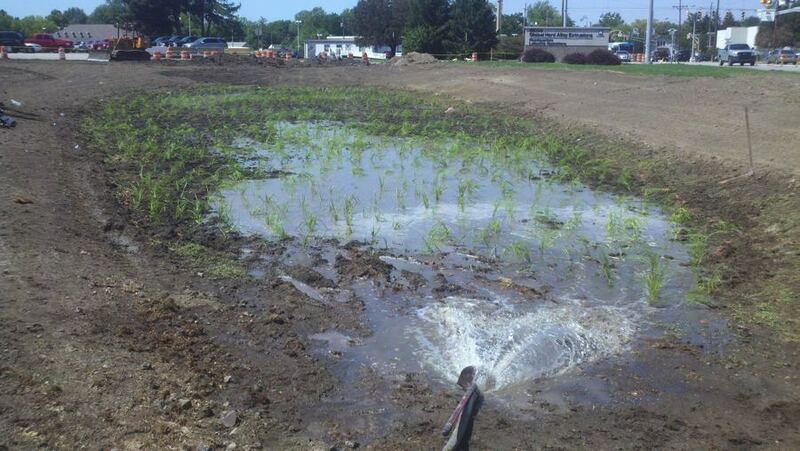 Funding for the project was through the Illinois Green Infrastructure Grant program. 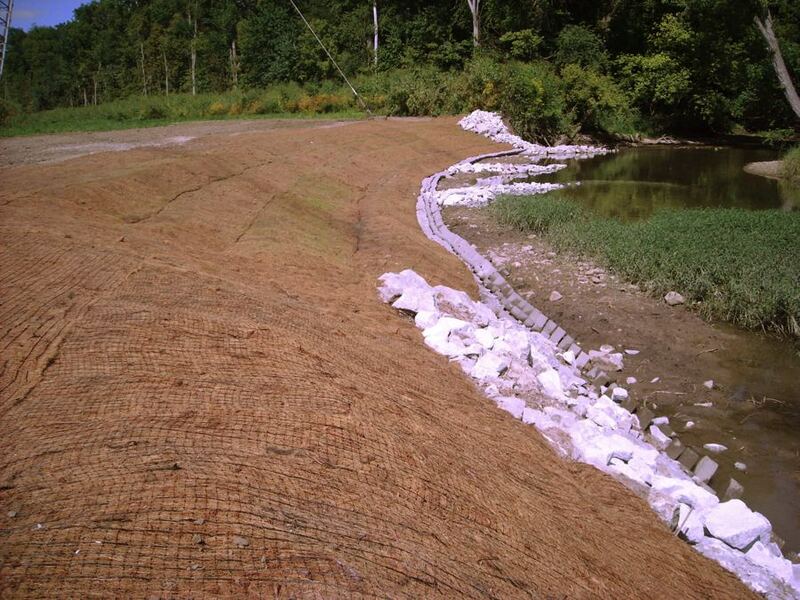 The goal of the project was to minimize the amount of total suspended solids entering the East Fork of the Wood River which is a 303d listed water and minimize the down-cutting that was occurring in the stream. 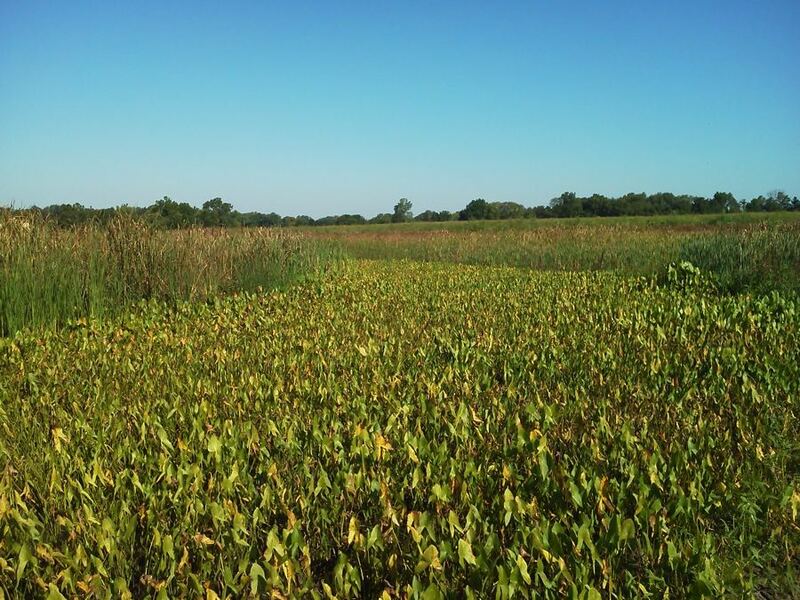 Williams Creek sub-contracted and locally sourced where possible the topographic survey, ecological engineering, and mass earthwork. 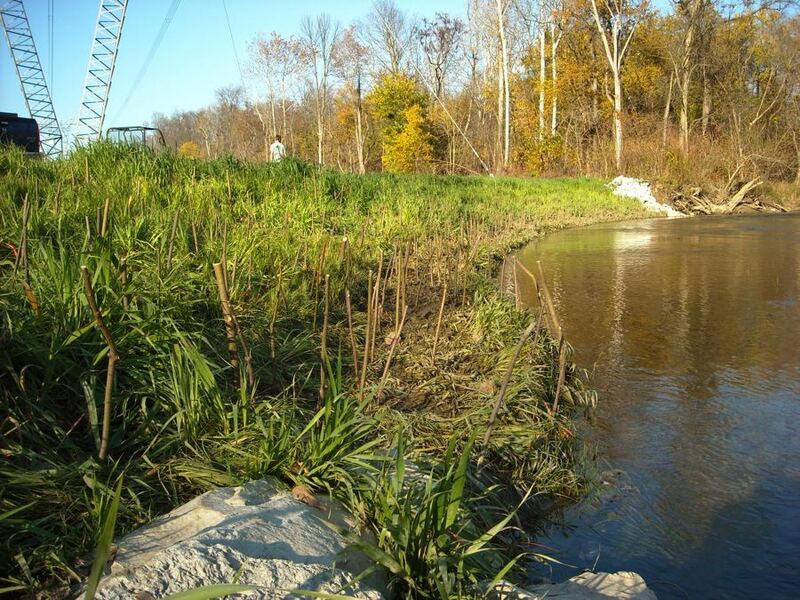 The final design included constructing a two stage channel with grade control structures, in-stream habitat, and riparian corridor enhancements using native seeding and tree and shrub installation. 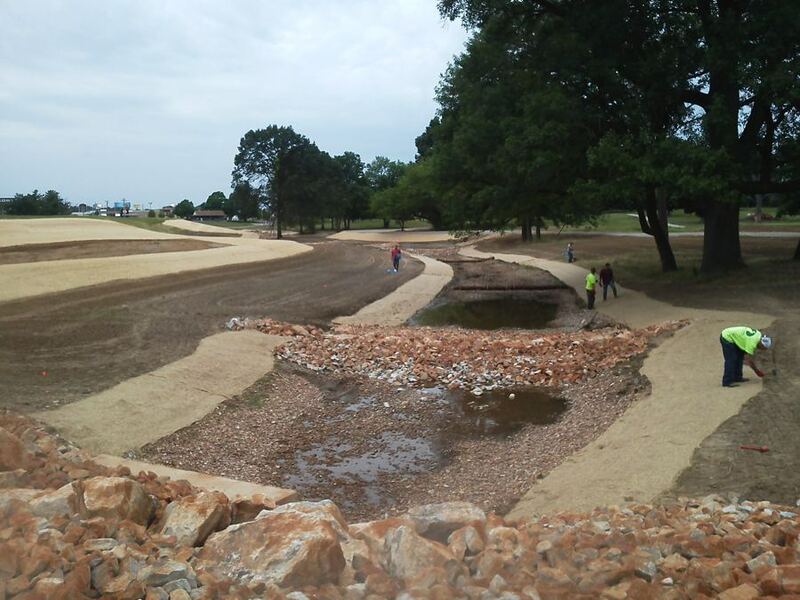 The final design and construction included restoration and enhancement of 1,800 linear feet of stream channel. 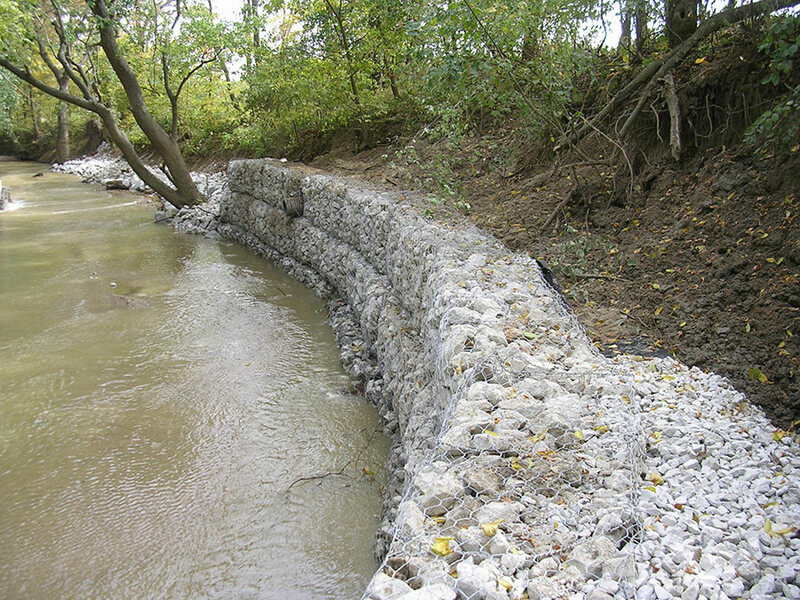 Once permitting was completed, restoration work included approximately 23,000 cubic yards of earthwork, installation of over 200 tons of stone used for in-stream grade control structures habitat, 6.4 acres of native prairie and wet mesic seeding, 15,000 square yards of erosion blanket, 8,500 plugs, and 700 1 gallon tree and shrubs. 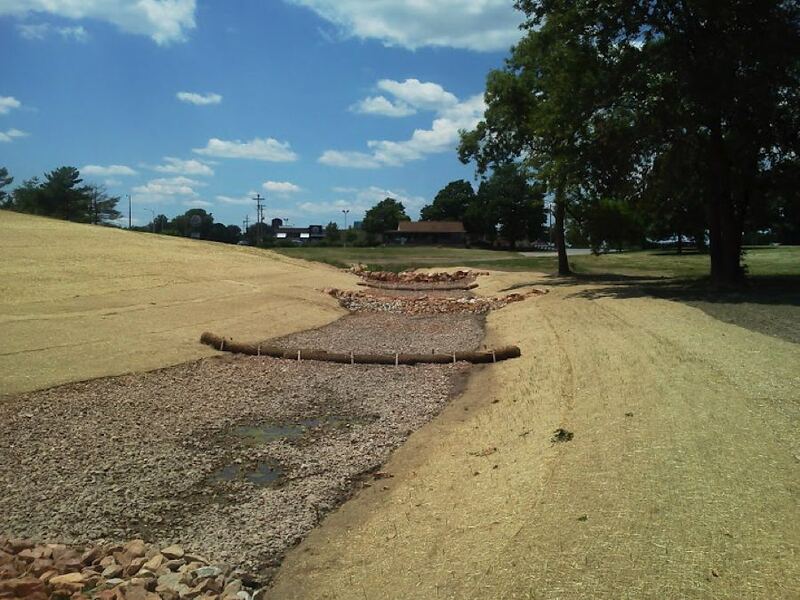 Additional activities included installation of an eight (8) foot box culvert stream crossing to facilitate future crossing, utility relocations, and construction of the first stage of a multi-use path. 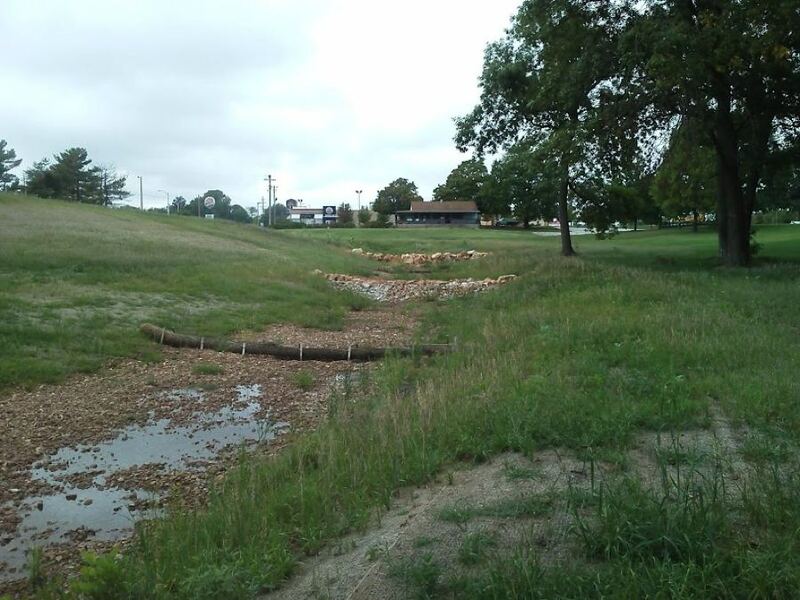 Through the use of local sub-contractors and the local union hall, Williams Creek completed this project under budget, and in the time allotted.